Eugene’s newest, nicest Party Bus! Our 24 passenger Party Bus (22 passengers seated, 2 standing) is a professionally converted (not a “backyard special” like many others in the area) party on wheels! 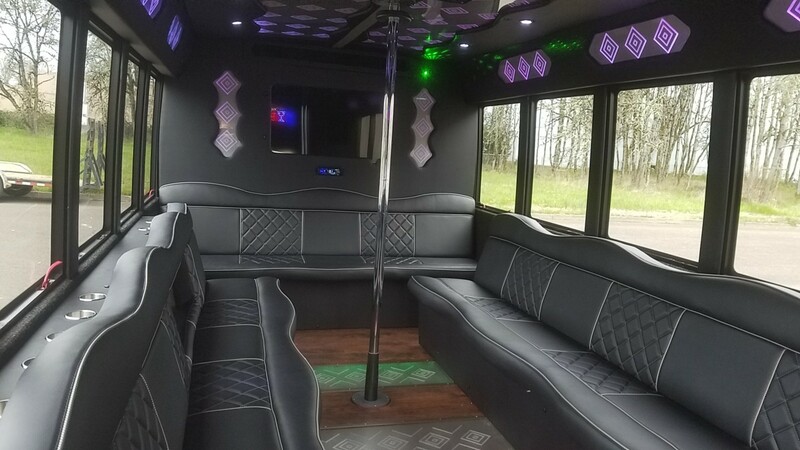 Comfy wrap around seating with 2 bars, dancing pole, colorful LED lighting effects, killer multi woofer sound system w/big screen TV, and cool laser lighting. Huge cargo storage area in the back for golf (Bandon Dunes transportation) or overnight trips. Terrific party bus for big groups great for larger Party Bus wine tours. 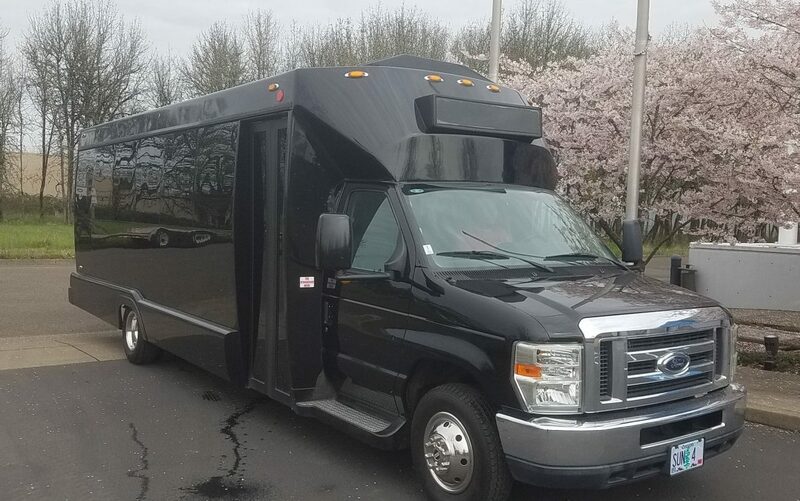 Whether for Eugene Party Bus service or the best Party Bus service anywhere in Oregon, Sunshine Limo is your Eugene Party Bus pro! Non smoking $250 for a single hour, $175 per hour for 2 hours or more (plus tip and fuel surcharge). Watch our YouTube video of our 24 passenger Limo Party Bus!